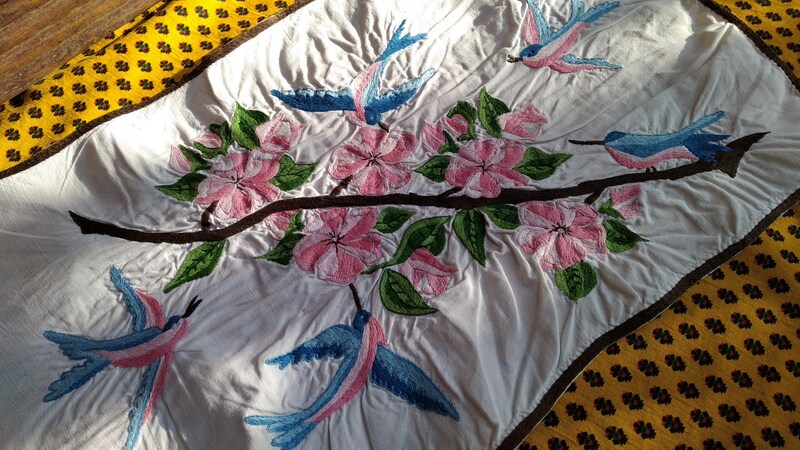 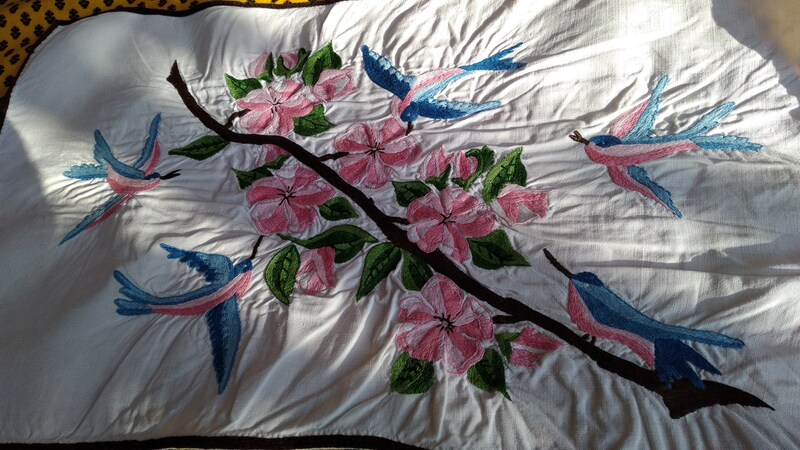 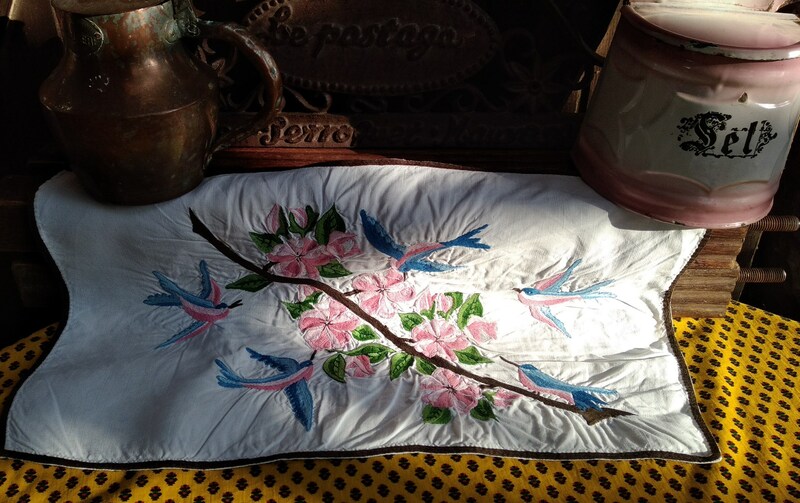 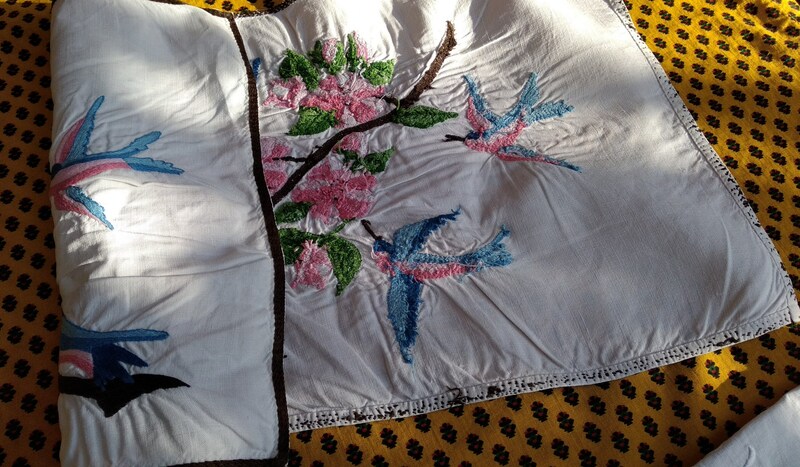 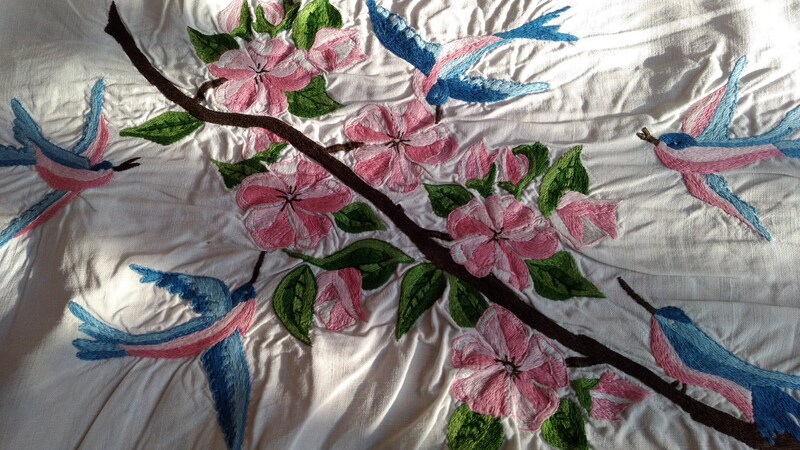 Lovely White Linen Runner with blue birds and pink flowers hand embroidered brown ribbon trim. 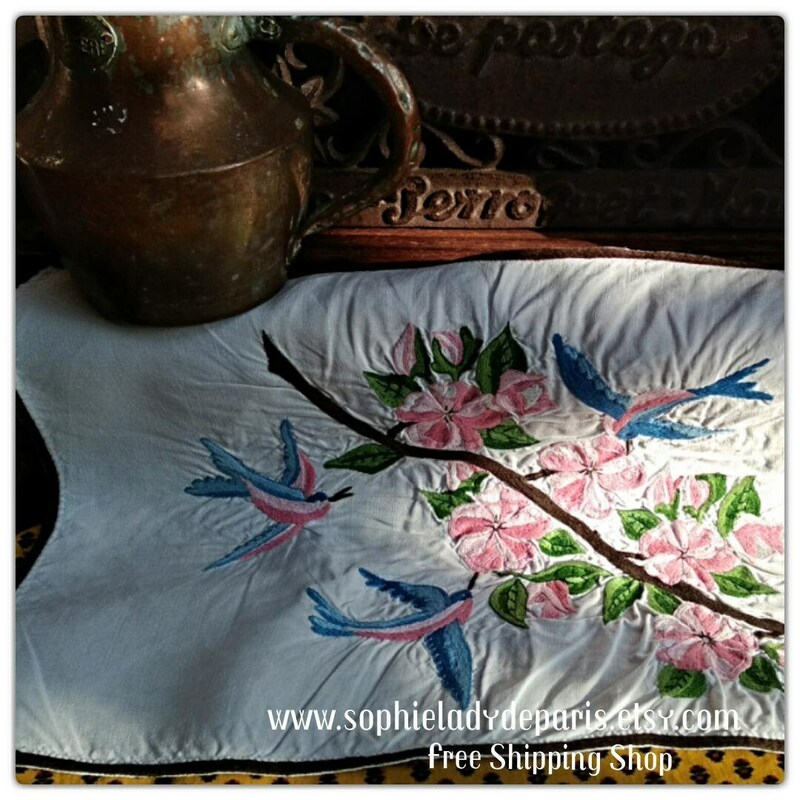 Vintage handmade French piece . 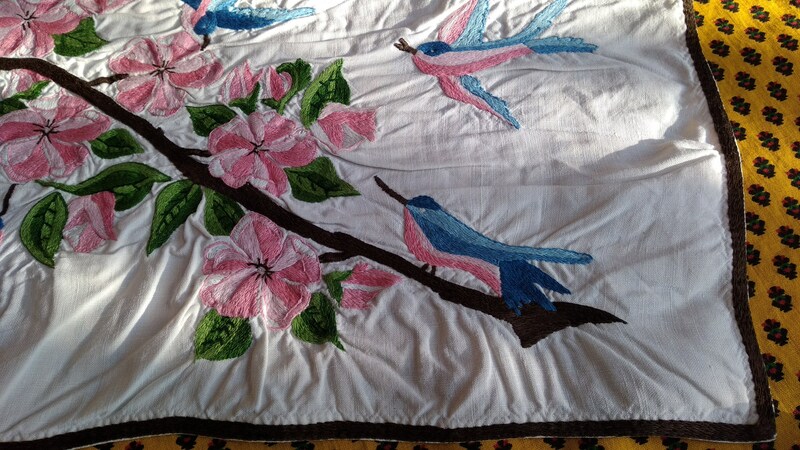 Beautiful French runner to be set on top of a table or a piece of furniture !